The idea of 5G coverage is not as clearly defined as other wireless technologies, as the network will have changeable characteristics at any given location. Network slicing enables operators to manipulate network features to suit the needs at locations at various times. For example, densely populated areas will be provided with high data rates during peak usage times, or ultra-low latency will be introduced to accommodate edge computing use cases. Peak data rate for 5G or IMT-2020 will need to be above 10Gbps. This will be critical to support services such as UHD video streaming, large file downloads and VR applications. While this rate could be the maximum, average data rates between 1 and 10Gbps are expected and required and need to be achievable both indoors and outdoors. Given the correct network conditions, however, these speeds are achievable on 4G infrastructure. While many operators and network vendors have announced they have achieved above 1Gbps in test conditions, these results must not be considered applicable in real-world environments. Many of these trials involve a single device per antenna, within a small range, and in direct LOS (Line of Sight). 5G also needs to be ultra-low latency, in the sub-1ms rate, which is the delay in end-to-end data transmission. Currently, 4G networks have a latency of 40-60ms, so this will entail a significant improvement in delay rates. As with 5G trials speeds, Juniper Research believes that results for network conditions should be considered a marketing exercise or PoC (Proof of Concept) for 5G rather than an applicable scenario for real-world usage. Compared with 3G and 4G, 5G will emphasize lower latencies in support of low-speed and high-speed services with high reliability and flexibility. This refers to the use of available data bandwidth to transmit maximum information data (bits per second per Hz). Significant improvement in spectral efficiency is required and antenna technologies, such as MIMO (Massive Input, Massive Output), are expected to help 5G. 5G is expected to enable low-cost sensor device networks with up to 10 years’ battery life. A reduction in power consumption by the networks is also a fundamental requirement. 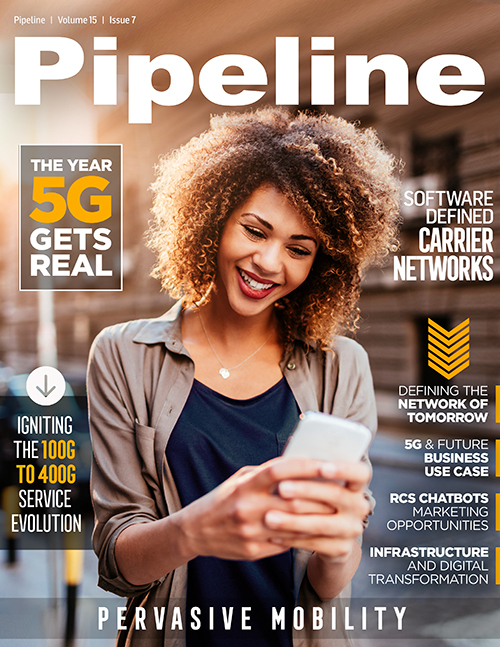 In the future, 5G radios will provide the necessary connectivity for backhaul infrastructure. Similar to 4G networks, with a wide range of spectrum that could potentially be used, fragmentation becomes the issue. Not only will this have implications for devices, 5G will also require a globally harmonized band for roaming services. Once the total cost of securing spectrum and implementing the necessary tools for a 5G services has been estimated, operators must focus on securing ROI as soon as possible. In order to ensure this, setting correct pricing levels is essential, taking into consideration the specific challenges that each vertical market presents. The data-centric mobile world will become increasingly interconnected, leading to a range of opportunities at the infrastructure, device and component levels. 5G will be harnessed by many traditionally ‘dumb’ devices so they are connected. This will power connected devices, appliances, vehicles and critical developments in smart homes and cities. The impact of the IoT will be far‑reaching, built through the widespread deployment of sensors in everyday items. The ‘Internet of Things’ is the concept of providing a connected digital identity to physical objects and networking those identities and their data together. Analysis of the data that these objects produce aims to improve quality of life, efficiency, create value or reduce costs.